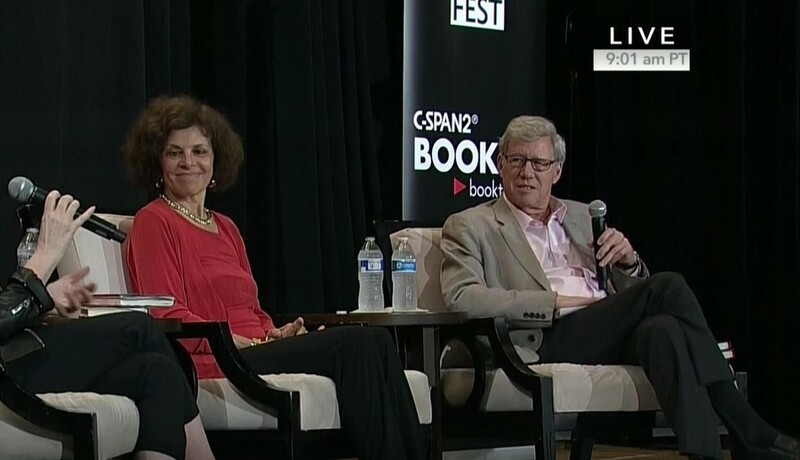 Former president of the American Civil Liberties Union Nadine Strossen has said she was motivated by recent debates over the role of free speech on campuses to write her 2018 book HATE: Why We Should Resist It With Free Speech, Not Censorship. On Tuesday—several weeks after the Law School’s racial and ethnic affinity groups challenged the University's application of its Chicago Principles on free speech—Strossen came to the Law School to discuss her book with law professor Geoffrey Stone. Stone edited Strossen’s book and chaired the University committee that drafted the Chicago Principles. He was also the subject of the recent controversy involving the affinity groups: For many years, he had been saying a racial epithet in class to illustrate a legal doctrine. Last month, affinity groups expressed their disapproval that the University had not condemned Stone’s use of the epithet. “Hate speech”—defined as derogatory speech prejudiced against certain groups—was the focus of the talk. Strossen explained why she believes a policy of censoring hate speech would not be feasible and why shaping such a policy should not be in the hands of the federal government or, by extension, public universities. Tuesday’s programming at the Law School also involved real-life free speech tensions: Next door to the talk, non-student pro-Palestinian protesters interrupted a visiting professor’s lecture on the application of laws opposing the Boycott, Divestment, and Sanctions movement under the First Amendment. The protestors were escorted out by UChicago police officers, and the Law School’s dean of students said in an e-mail to students that the protestors’ chanting “did violate the University’s policies” on free expression. In the talk, Strossen said that what many people deem “hate speech” is not a category of speech defined by the Supreme Court. “I put that term [‘hate speech’] in quotation marks throughout my book to underscore that unlike ‘obscenity,’ it’s not a constitutional law term of art,” she said. Strossen added that while “hate speech” is not defined by the Supreme Court, there are types of speech that are currently prohibited by law when they are expressed in particular contexts, specifically speech that poses a direct threat, harassment, or incitement of immediate violence. “There are many examples from around the world where one person’s hating idea is one person’s loving idea,” she said, citing different religious views on gay marriage. Strossen answered by weighing who within society should address hateful expressions. As American Civil Liberties Union (ACLU) president, Strossen previously supported a 1991 bill sponsored by Illinois Representative Henry Hyde that would have held private universities that receive federal funding to the same First Amendment standards as public universities. However, when asked whether she supports the recent executive order signed by President Donald Trump that would pull federal funding from private universities if they don’t “promote free inquiry,” Strossen told The Maroon that she doesn’t. Countering “Hate Speech” with "Counter-Speech"
On Tuesday, Strossen aimed to focus her discussion of counter-speech around last month’s controversy at the Law School by addressing the use of racial epithets. In a paper handed out before the talk, Strossen argued that if people restrain themselves from expressing certain words, they can more effectively challenge others’ opinions and persuade others of their own opinion in “counter-speech.” She explained that she tried to do this in her book when she used the term “N-word” in place of the full word. She did not want to provoke negative reactions from readers that would distract them from her main argument. The article has been corrected to reflect that Nadine Strossen is a professor at New York Law School, not NYU Law School.